A recording played during a recent lecture brings back memories of a summer night on a Hollis farm. 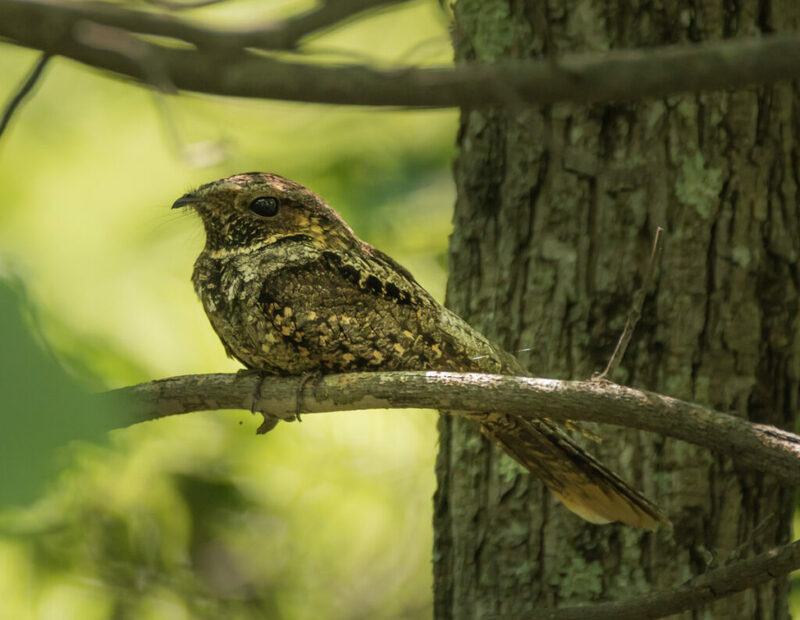 When I was a child in the upstairs bedroom of my grandparents’ farm, I would lie in bed and listen to the whippoorwill calling from the nearby forest. There would be a pause and then it would call again. I loved that its name reproduced the sound it made. Recently I heard a lecture by a researcher at the Wells Reserve. She placed sound boxes around the Laudholm Farm property and recorded all the sounds 24 hours a day. Then those sounds were analyzed and put on a chart so that one could actually see the sounds. This served as another form of mapping the area. Ruth Dater is a resident of Kennebunk. But what she found that amazed me and clicked into my memory of my grandparents’ farm in Hollis is the surprising fact that the Wells Reserve researchers recorded a whippoorwill calling at dusk. Yes, that is when I also heard the whippoorwill. My daughter asked why hearing a whippoorwill was unusual, and I looked up Roger Tory Peterson’s comments on whippoorwills. He says they are rarely seen during the day and that they live in the woods and hide in the trees. When I looked up the appearance of the bird, I saw that they are small and have brown and black markings. I can see how they would blend into the ground under a pine tree. Peterson says they usually make their call at night or in the evening. In my memory, it was summer and with daylight saving time about 8:30 or so in the evening. The woods, the pines, the rocky patches where blueberries hugged the ground were all disappearing into the night as the whippoorwill called to me, upstairs under the crisp sheets with the pull-apart screen in the window and the gauze curtain gently moving with the breeze. Some people think that memories are not to be trusted, but my memories of summer on the farm are full of the smell of pine trees, narcissus growing in abundance in the yard and freshly mowed hay at the dairy farm down the road. When I smell these particular smells, I am drawn back into the experiences, just as the lecturer drew me back into my experience of the whippoorwill’s call, heard out the upstairs window in a small clapboard house by a young girl who was having difficulty falling asleep.